The birth of rock climbing as a sport and leisure activity goes back to the late 19th century, originating in Europe in various locations far apart from each other. In those heroic times equipment was rudimentary and often cobbled together, so rock climbing was a dangerous passion attracting bold, adventurous people. 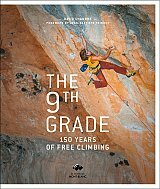 This book tells the history of 150 years of rock climbing and reflects on those women and men, famous or forgotten, whose lives have been possessed by their passion for rock. The pioneering exploits of British climbers in the Victorian period lead us to today's rockstars and the book takes the reader through the gradual shift in attitude, achievement and ethics as the climbing world connects.